Little, Brown and Company, 9780316306515, 320pp. A highly decorated Navy SEAL shares stories of his years of combat experience in Afghanistan, providing leadership insights that will shift your view of yourself and provoke life-altering change. Before leaving for combat in Afghanistan, Navy SEAL Thom Shea promised his wife that he would write to his children in case he didn't make it back. What was initially intended to be a private memoir for his family turned into a powerful set of lessons for anyone striving to perform beyond what they believe possible. Shea's stories, while action-packed and entertaining, provide incredible insights on leadership, family, and excellence. 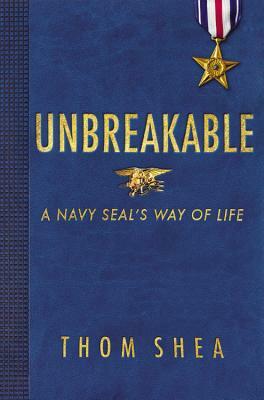 In UNBREAKABLE, Shea teaches readers how to achieve and maintain a strong internal dialogue through no matter what the task. Read this book, and transform your life. Thom Shea served 23 years with distinguished Valor as a Navy SEAL. During his military career he served in three wars, ultimately leading a team of Navy SEALs into Afghanistan in 2009 where he earned a Silver Star, Bronze Star with Valor, Army Commendation with Valor and his second Combat Action Medal. Shea is also the CEO of Adamantine Alliance, a leadership and human performance coaching organization. He now resides in Greenville, South Carolina, with his wife Stacy and three children.